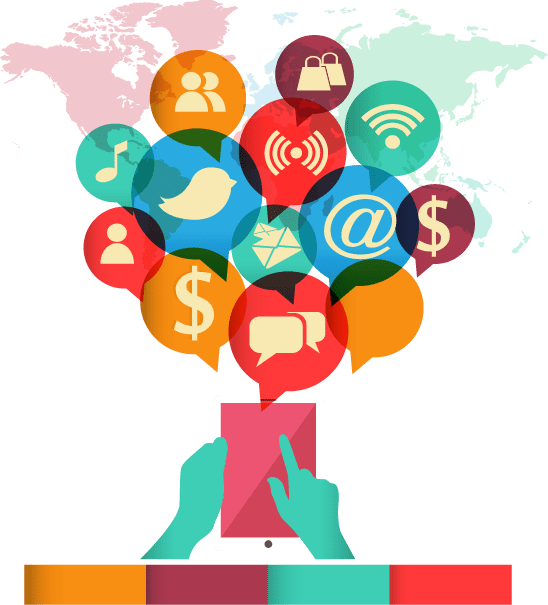 Keeping that in mind DigiLanes – a social media agency in Dubai is providing professional social media marketing services to help your business grow. We have a team of social media management which understands the inns and the outs of the online media 24/7. Our highly engaging social media marketing experts with their new marketing strategies can promote any brand from the scratch. DigiLanes is one of the leading social media marketing agencies in Dubai that will not only promote your brand, products, services and profile but can also serve as an image builder into masses. We are a firm believer in creating better customer-producer relationship and for this, social media platforms are the most interactive. If your brand lacks proper social media representation or want to get success in social media marketing, DigiLanes is the perfect place you are in. Our compatible social media strategies will boost your company’s integrity and promote your business to a new high. With the help of experts in digital marketing, DigiLanes offers exceptional social media marketing services in Dubai. We are well-equipped with the techniques that help promote your brand and services. We produce clickable and shareable content (image, video and more) for our clients in order to help them run various social media marketing campaigns. As a leading social media marketing Dubai company, we have a highly skilled team with interactive engagement strategies to promote you online. Be it Facebook, Twitter, YouTube, Tumblr and many more we keep your brand strategically engaged. Social Media is live 24/7, it is instant. Your message in social media can also take many forms on variety of platforms. A promotional video on YouTube or any post related to Facebook or any other platform is what DigiLanes is expert in creating for. Social media has become a vital part of online marketing. Without utilizing the power of social media, it is absurd to market your products online. If you need social media audience as well as comprehensive strategies to increase your audience by social media advertising, get help from social media marketing services agency in Dubai. DigiLanes is determined to produce better results for your company, need further assistance feel free to consult our social media experts.